This week, it’s an Epic Fantasy fest as Angelya shares her most read authors. 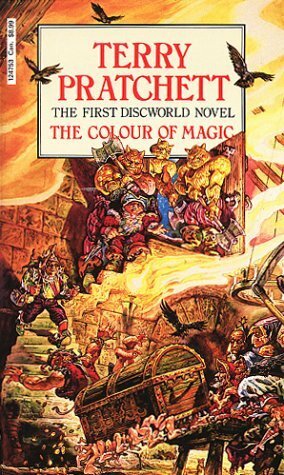 My number one most read author is definitely Terry Pratchett. His Discworld series is up to 41 books (including The Shepherd’s Crown, coming out in just a few weeks’ time), plus assorted other ancillary works. All those, plus a few others such as other titles such as The Long Earth, Dodger and the Truckers series, puts my total read at 44 (according to Goodreads, anyway)! None of them are particularly long (most between 300 and 500 pages) and his particular brand of light-hearted (and occasionally kind of cynical) social commentary is popular around the world. If you haven’t given his books a try, please do! You don’t have to read them all in order (although it often helps), but there’s a handy reading guide at io9.com. 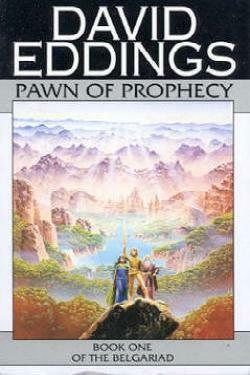 Second place the list has to go to David Eddings and his multiple series that had me hooked as a teenager with new expendable income. 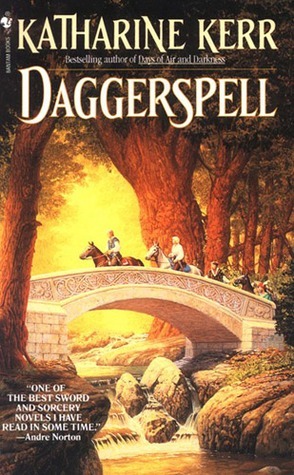 His various series have alluring names like the Belgariad (5 books), the Malloreon (5 books), the Elenium and the Tamuli (3 books each) and several extras. Goodreads puts my count at 18, and I think I have them all on my bookshelves still. Katherine Kerr has written something like 15 books in the world of Deverry, with Swords, Sorcery and plenty of Destiny. There’s also some pretty epic romance involved, and in my opinion the most epic story is the first four books (the Deverry cycle). I think I’ve read at least 8 of them. 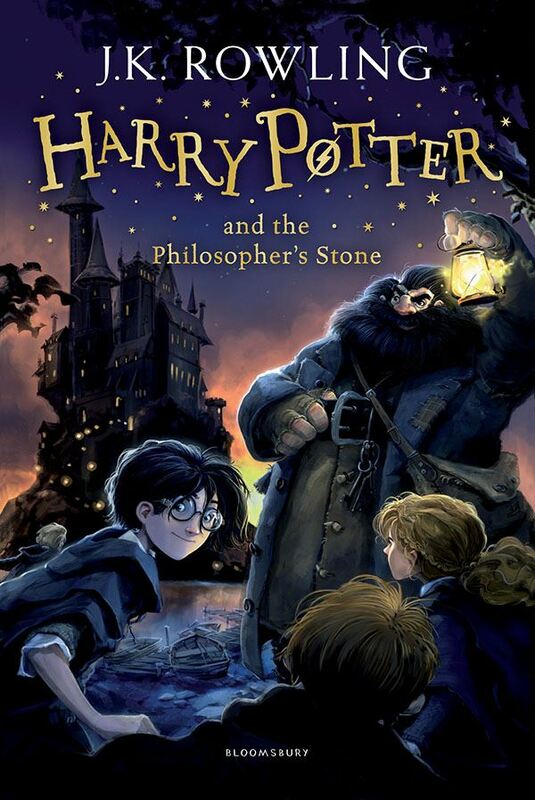 I think most people are likely to have JK Rowling and the Harry Potter series on their list – at 7 books its one of the longer MG/YA series out there. Do I really need to explain how much I love this series? I think we covered everything in our Harry Potter Special Podcast Episode! 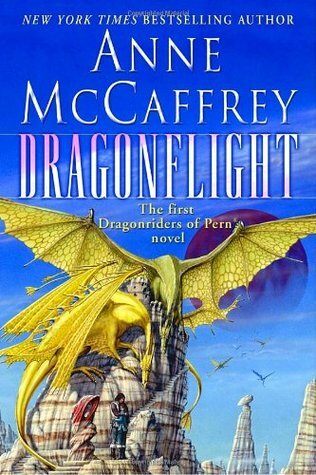 Anne McCaffrey actually wrote a couple of other sci-fi series as well, but it’s this tale of the Dragonriders and various guilds of Pern, working together to rid the world of the dangerous “thread”, that really captured my imagination. 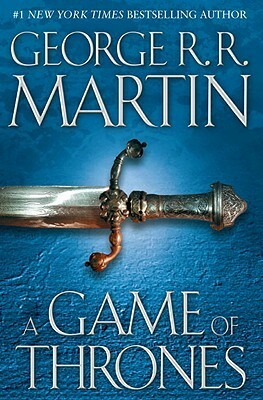 I’m pretty much crediting this series with turning me into a dragon lover. And the first book was published in 1968! Starting with Assassin’s Apprentice, there are now 14 books set in the “Realms of the Elderlings“. They are conveniently split into trilogies, with each being about a slightly different set of characters but all set in the same world. It’s a tale of sorcery, spies, talking ships, farseekers and those who can speak to beasts, but most of all, it’s the characters that make this story come alive. Robin Hobb was the first author to break my heart, as poor Fitz endures fall after fall. And I’m just about to go through it all again with her new release, Fool’s Quest! 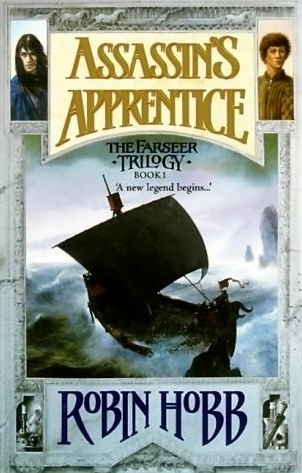 Obernewtyn was one of the earliest fantasy books I read and loved, way back in primary school (showing my age, there). 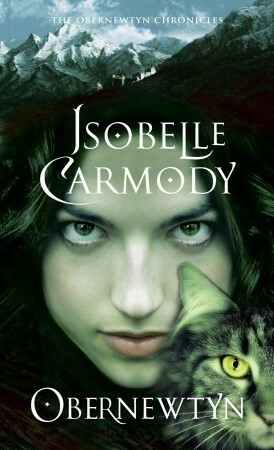 I’ve loved each book in the rest of the series as it has been released, and we’ve been waiting so long for the seventh and final book that I wonder if Isobelle will ever be truly happy with it being finished! At the moment it’s still scheduled for November this year, but.. we’ll see. Okay so I know there are only five books in his series, but by the sheer page count alone, A Song of Ice and Fire is currently the equivalent of about 12 Discworld books. If you’ve seen the TV series, you already know the bones of the story, but the real meat is in the extra characterisation and brilliant writing. If you’re not a dark fantasy reader it can be very heavy going, but it pays off in the end. When are The Winds of Winter coming, for goodness’ sake? Philippa and I shared our love of all things GoT on our special podcast episode prior to the start of series 5. 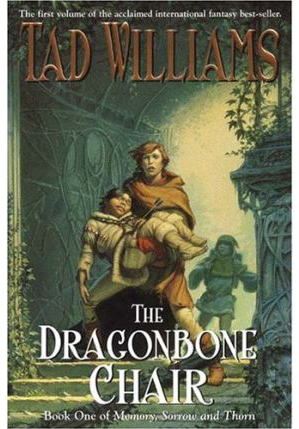 Tad Williams’ original series, starting with The Dragonbone Chair, first introduced me to gritty fantasy. Sometimes, characters die. Things don’t turn out the way they supposed to and there’s no happy ending in particular. He is certainly not afraid to torture his darlings, but is the absolute master of world building and storytelling. I’ve read a few of his various series now and have enjoyed them all, although some of them go to some pretty dark places. Don’t say I didn’t warn you! 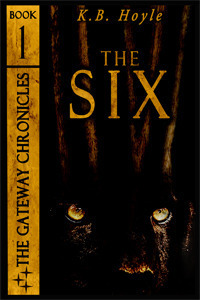 The last featured spot in this Epic Fantasy list goes to KB Hoyle, whose Gateway Chronicles finished up with book six in 2014. I really enjoyed reading about this group of six teenagers as they grow and mature through the years, and their journeys between our world and Alitheia. 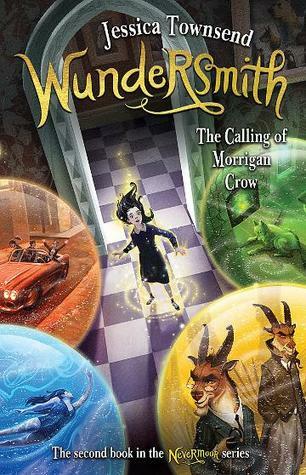 A really enjoyable MG/YA series that gets better and better as it goes on. KB Hoyle has more recently started a dystopian series, with Breeder. Not sure when a second book is due but it was a great start. Great list! The only one I have on my list is J K Rowling. Anne McCaffrey and David Eddings both made it to my list this week. I somehow managed to read 26 of Anne’s books. Great list! I absolutely love your list ! The Farseer trilogy is on my TBR list and I really hope I’ll find time to read it soon. I should also check out more Terry Pratchett, I’ve loved Good Omens, and I really want to read more of his books. Thanks Marina 🙂 You should really try out Discworld, it’s really a very awesome place!